August 11 marks 4 years since Robin Williams passed away. He was such a beloved person and his death shocked so many. If he touched your life you will want to read what I have felt about him. From the first time I saw Robin on the program ‘Mork and Mindy’ I liked him. He always came across to me as a person who was sad. Yes, he made me laugh tremendously, but I understood that there was a level of sadness always around him. Many want to blame his death on alcohol and drugs, which was proven untrue in the autopsy. So many do not understand depression, especially when they perceive someone as having everything, such as Robin. Of course there will always be theories about why or how he died, but I think it’s better to remember the brilliant talented man that he was. From being one of the highest paid actors in the 1990’s his celebrity had declined over the years because he started choosing rolls that appealed to him, and they were not always comedies. He made over 50 movies. He had the ability to be a serious actor and brought such depth to each character he played. He proved how good he was as an actor in Dead Poets Society, Good Will Hunting, What Dreams May Come, Patch Adams, and the touching Bicentennial Man. Of course he will always be remembered for his great comedies such as Mrs. Doubtfire, The Fisher King, The Birdcage, Jack, and who can forget his marvelous genie in Aladdin. These are just to name a few of his movies. He left a large body of work behind that will entertain people for many generations to come. His one man standup comedy shows were always something I looked forward to. He just had a way of making you see the world a little differently. No matter what he did he always came across as lovable. My personal favorite movie of his is “Moscow on the Hudson.” He mixed comedy with serious acting. He learned to speak Russian fluently and the other actors who were Russian could not believe how well he spoke it. Whatever he did he put his whole self into it and created magic. It turns out that financially he was not well off anymore, between high alimony payments, and lack of income, at the level he had been receiving, he was struggling financially. Also he was suffering from Parkinson’s disease. I understand the effects of that extremely well as my father had it and so do I. Physical decline often causes depression to worsen. When you cannot do what you used to it is horrific. Ask anyone who suffers from chronic illness or an accident and they will tell you. At the time of his death I had not seen many of his latest movies and have seen them since and I am astounded at how good they were. Recently I saw “Angriest Man in Brooklyn” and found it totally believable from the standpoint of being someone who is chronically ill. Often you get angry when your health goes. I thought he did a standout performance and yet many people do not like this movie. He was a gentle kind man and I have read many different stories from people who have met him accidentally and he never acted like a celebrity. He was always just himself, which was quite humble. He let his crazy side out when he performed. Often people confuse a person with the characters they have played. For me he will always be a sweet lovable human who did his best to make others happy. He worked for free on the charity to help the homeless ‘Comic Relief’. He traveled to Iraq several times and performed for the troops without great publicity or fanfare. He always wanted to help others. Robin had a requirement that for every single event or film he did, the company hiring him also had to hire a certain number of homeless people and put them to work. For those who believe that a person who commits suicide is condemned, I have found that not to be true. I have channeled many suicide victims and most are being taking care of in a recovery area in the spirit world. The judgments that people believe will happen when you die are not necessarily true. It is what you do in this life and how you have helped others that is most valued in Spirit. Read More About This Here. Can I Do It ‘Till I Need Glasses? At the age of 76 he could not do anything for himself anymore. Thanksgiving weekend 1994 he ended up in the hospital and collapsed into a coma within hours. This is where my biggest spiritual learning came into place. I figured my mother would be the first one to greet him as she passed away several years before. Surprisingly the person that greeted my father on the other side was his army sergeant who had been killed in World War Two. My father was so happy to see him again. I waited at the entrance and my father went and visited so many people that he loved and loved him. I could hear him and the others laughing and talking. When he was finished he came to me and we transported back into his hospital room and he went back into his body. The next day he died. I knew that he died without fear. The following morning as I awoke my father was screaming into my right ear everything he wanted me to know. I woke up saying, “Dad, you’re hurting my ear. Stop talking so loud.” I then did my best to remember exactly what he had been saying. It amazed me. I had never had such a spiritual connection in my life. Over the next few days he appeared to me, each time with a message. Throughout the years he has continued to communicate and on rare occasions I have been able to see him. It’s absolutely fascinating. He’s definitely my main Spirit Guide. So not only did my father teach me so much when he was living, but he taught me a great deal after he died. So I attribute my spiritual abilities as being inherited from him. Two years ago when my precious cat Isis passed, I followed her through to the other side, and saw her at the rainbow bridge and on the other side was my father. She ran to him and he picked her up and held her in his arms. I see that very clearly all the time. They had not met in person, but they knew each other’s spirit. I know that when my time comes they will both be standing at the other end of the rainbow bridge welcoming me home. Learn More About The After Life By Clicking Here. August 11 marks two years since Robin Williams passed away. He was such a beloved person and his death shocked so many. If he touched your life you will want to read what I have felt about him. December 27 always is a difficult day for me because my father was the most special person in my life. From the time I was a little girl he was my hero and till the end of his life he was the only person who truly loved me as I was. He always had faith in me, even when I did not. I have never known a more remarkable person then my Daddy! Here’s a brief history about my father. He was born in 1918 and lived in Tennessee. When he was a little boy of six years old, in the year 1924, his mother, told him to take his two little brothers and sister and find a way to survive. There were no social services at that time. My father did get out and took care of those little kids; they slept in barns until he became old enough to provide a rented home. He never went to school because he worked any type of job on farms he could and was grateful for the work. Eventually he was able to buy land and had his own farm. World War Two came along and he was drafted into the army. He was shipped to the Philippines and fought in the Pacific. On one mission his entire platoon was killed and he was shot repeatedly, but played dead and was the only survivor of his platoon. After the army he returned to farming, but the government had shown him there was better ways to make money and offered him an education. He married my mother in 1950 and they left Tennessee for a better life. He went into the aerospace industry, which was a booming business. He became so skilled at making aircraft engine bolts that eventually he formed his own company. At an early age he instilled the work ethic in me. He started me working on lathes and drill presses when I was nine years old. When I became a teenager I did his bookkeeping and payroll. Back then there were no computers and everything was done manually by hand. Once I got my driver’s license I became his truck driver. I learned to read maps and travel anywhere. Eventually I started working in his office as a sales representative. Eventually I became an outside sales representative and traveled all over the United States to military bases and sold our specialty large engine bolts. My father was not an easy person to work for because he did not teach me want to do instead he would say, “You figure it out.” He did this so that I would learn to think for myself. I think that was brilliant training. Eventually there came a point where I did not feel a calling to sell bolts and wanted to go back to college. My father was supportive even though he was disappointed that this was not what I wanted to do. He always was there for me no matter what my choices were. Throughout my life in good times and bad I always went to my father for advice. His wisdom was remarkable and he was not judgmental and no matter what a stupid thing I might have done. His love for me was truly unconditional. When I had my accident and injured my hips I was not able to do what I used to and my father did his best to help me in every way. Eventually I became crippled and bedridden. He never stopped being there for me and helping me as best he could. It was hard for him to accept what had happened to me at such a young age, but he always let me know he would be there for me and he was. My father lapsed into a coma on Thanksgiving weekend in 1994. I knew that he had a great fear of dying. The doctors were keeping him alive on machines and I just could not deal with that and had no legal authority to take him off life support. I loved my father far too much to see him be a vegetable. So I took matters into spiritual hands and put myself in a hypnotic state and I projected myself to his hospital room and there I took his spirit and we traveled to the other side (the fifth dimension). I figured my mother would be the first one to greet him as she passed away several years before. Surprisingly the person that greeted my father on the other side was his army sergeant who had been killed in World War Two. My father was so happy to see him again. I waited at the entrance and my father went inside and visited so many people that he loved and loved him. I could hear him laughing and talking. When he was finished he came to me and we transported back into his hospital room and he went back into his body. The next day he died. I knew that he died without fear. It’s difficult to express in words all that my father meant to me. These last 24 years without him have been incredibly difficult, because he was the only person that really loved me and he was my security. For twenty one years I’ve been without that. It is a lonely feeling. Yes, I do have spiritual contact with him from time to time. It always happens when I least expect it. 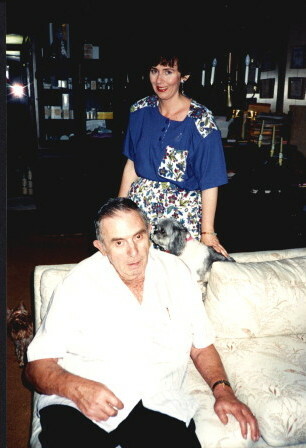 Twenty Years Ago Today My Father Passed. It’s difficult to express in words all that my father meant to me. These last twenty years without him have been incredibly difficult, because he was the only person that really loved me and he was my security. For twenty years I’ve been without that. It is a lonely feeling. Yes, I do have spiritual contact with him from time to time. It always happens when I least expect it. A few weeks ago my closest friend was helping me with paperwork and suddenly my walker, which was a few feet from my friend, started moving. My friend looked startled and I’d told him a spirit was here. After he left my father started talking to me and he had basically announced his presence by moving the walker. So you will understand why Thanksgiving has such deep meaning for me let me give you a little history about my father. He lived in Tennessee and when he was a little boy of six years old, in the year 1924, his mother the local town tramp, told him to take his two little brothers and sister and find a way to survive. My father did by working on farms doing any thing they asked, and took care of those little kids; they slept in barns until he became old enough to provide a rented home. He never went to school because he worked any type of job on farms he could and was grateful for the work. Eventually he was able to buy land and had his own farm. After the army he returned to farming, but the government had shown him there was better ways to make money and offered him education. He went into the aerospace industry, which was a booming business. He became so skilled at making aircraft engine bolts that eventually he formed his own company. Every Thanksgiving he gave a turkey to his employees. He told me, “If I give them money they might not bring home food to their children, this way I know the kids will get something to eat.” He understood poverty and being hungry. The last Thanksgiving that we had as a family before my mother passed away my father made a little prayer and blessed the food. That was the first time I had ever seen him do that and I realized the deep gratitude he felt. Every year along with giving his employees frozen turkeys he donated a truckload of frozen turkeys to the local homeless shelter. My health became bad in my late thirties and after an accident I was unable to drive and my father always brought me a Thanksgiving dinner. He personally would bring it to me even though his own health was failing from Parkinson’s disease. Eventually he became bedridden, but he made sure that somebody delivered a Thanksgiving dinner to me every year. My father passed away December 27, 1994. But to this day Thanksgiving has more meaning to me than any other holiday because it’s about being grateful for what ever you have no matter if you are rich or poor. Celebrate this time and be thankful for everything you have. Be thankful for the people that are in your life and care about you. Be grateful for our little furry and feathered friends that love us no matter what. Be thankful that you have a roof over your head and a table filled with food. Pray for those who have no food and to show your true gratitude volunteer at a homeless shelter or church this year to help serve the meals on Thanksgiving. I’m thankful that I had the most wonderful father anyone could ever ask for whom always loved me and took care of me. You Know Who Your Friends Are When You Are Down For the Count! Today I write to you about a topic that I rarely write about, me. First, I want to tell you how much I appreciate all of you who follow me. For the past six weeks I have had to receive medications intravenously daily for six hours a day because my body will not absorb them well enough otherwise. These were ordered to be done in my home because I am unable to be transported to the hospital. You see, I have been bedridden for the past 22 years from an accident and having Fibromyalgia, Parkinson’s disease and a long list of other problems. My family has all passed and it is up to me to make sure that I am taking care of. I have to pay caregivers to take care of me daily. The sickness that I am in the midst of now is compounded by these health challenges that I face daily. I do not know how long it’s going to take for me to recover. I have been unable to work because I lost my voice in this illness and have exhausted any money that I had coming in because I can’t work. I Want To Give A Shout Out Of Thanks To All Of My Friends And Followers From Facebook Who Sent Me Prayers And Beautiful Messages Supporting Me During This Health Crisis. My friend of twenty years Emily has stepped forward and offered to do my psychic readings for me. Now This Is What A True Friend Is! 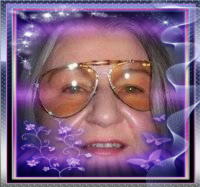 Emily has run her own successful psychic business for over 25 years. Emily is being very gracious in sacrificing her time and doing readings for my clients and not accepting any money from me for her help. Emily normally charges $3.95 per minute for psychic readings, but to help me she is doing the readings at my rate of $1.85 per minute. She is doing this for free for me to keep my business going and allow me to recover. If you do not feel you need a psychic reading but would like to support my spiritual ministry you can submit a donation. As most of you know I work very hard all the time helping others and donate as much time as I can doing things for others without charge. You can make a donation on my website, Just look for the PayPal Donate button on the left side of my website. I will continue doing readings as my health permits. I know that I will have to rest for quite some time before I can go back working as hard as I’ve been over the past year. If I survive, you are still all mine! Emily is not keeping you! I love and appreciate each one of you and want to continue doing what I’ve been doing for years, inspiring people, and helping them to change their lives.